We exist to help people see who Jesus really is. While that's the vision, it didn't start that way. At one time, the idea was to be more like a Bible study in a coffee shop. In 2011 God flipped it and since then we've watched in amazement as God's done only what He can do. Overwhelmed by God's intentions, we feel compelled to help others find God's purpose for their life, whether through our church or another church. Because a church isn't a building. The church is people and we believe in what God will do through His people. But it all hinges on Jesus. Thus we're answering God's call to help people see who Jesus really is, be reconciled to him, so that they become equipped to go out in FAITH, LOVE, WORK, & WORSHIP. 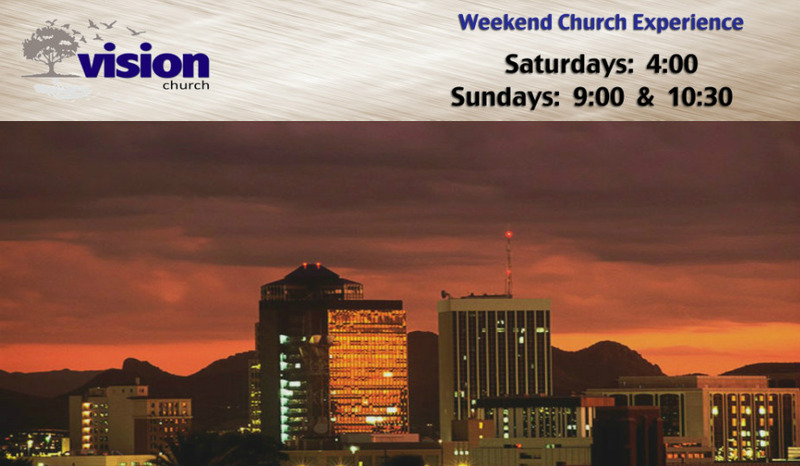 We welcome everyone at Vision Church and hope you'll join us this weekend.